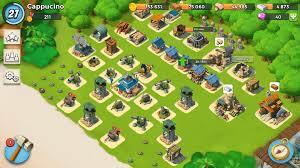 Boom Beach is a free to download strategy game developed by Supercell for Android, and iOS operating systems. 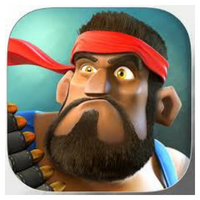 Thanks to BlueStacks you can play Boom Beach on PC and Mac. Experience the same gameplay just a whole lot bigger. In Boom Beach, players are tasked with defeating an evil force known as the Blackguard. However, this can be achieved in a number of ways. In fact, you can attack them head-on, free prisoners to aid you in your fight, or team up with other players. In single-player mode, you’re tasked with fighting your way through. Additionally, as you climb the ladder in a computer-generated base the levels become more difficult as you progress. In the multiplayer mode, you can do everything offered in the single-player mode and then some. However, players are encouraged to team up with millions of other people worldwide in order to take part in the social engagement. Moreover, some of the social functions are chat, take part in co-op missions, raid enemy bases, collect loot, and more. One of the primary goals of Boom Beach is to collect your resources. Almost everything in the game revolves around how many resources you’ve collected. Furthermore, you can use your resources to aid you in a number of ways. This includes upgrades to your base, training your troops, and more. Once you’ve collected some resources, you’ll need to work on constructing and fortifying your base. With a number of unique construction and building upgrade options, your base is sure to be one-of-a-kind. As soon as your base is established, you’ll need to build an army to help protect it. Similarly, like base construction, there are a collection of unique military units you can train that each serves their own unique purpose. 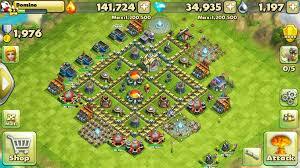 You must play Boom Beach on PC or Mac. Playing on a bigger screen with even bigger sound will refresh the game entirely. If strategy games are your thing and you’re looking for a free download to hit the spot, Boom Beach is definitely worth a look or check out. Want to play other mobile games on your desktop? Check out our mobile to the desktop emulator, Bluestacks. 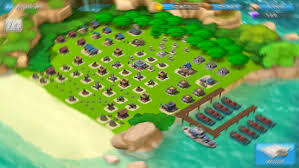 What do you think of Boom Beach on PC? Have a question or comment? Leave a comment below.